Remember how your math teacher said you’d use math every day for the rest of your life? Well, as a scrapbooker, you definitely do! You measure, you count, and if you try out today’s tip, you’ll apply your math skills even more! It’s time to take a trip back to geometry class, because we’re going to talk about what we call the triangle rule. In a nutshell, here it is: After you finish a pattern and you’re ready to add some accents, arrange them so they form a triangle. If you follow our Instagram account, you may remember how we showed the triangle rule on a single scrapbook page. Today's pro tip: The triangle rule! Cluster your embellishments so they create an isosceles triangle on your page or layouts. This helps balance the page and draw the eye to the photo. When creating a layout, you do the exact same thing, but rather than creating a triangle on each single page, you create a triangle across the two pages. See how the deer, oars, and punched circles create a triangle? The little flags above the three circles also help form that corner of the triangle. The triangle rule is great because it helps you balance your pages by giving you guidance for where to place your embellishment clusters, while also leaving you lots of different options to play with. If all of your layouts were perfectly symmetrical, they’d look nice, but there wouldn’t be much room for creativity. By creating triangles, which can be all sorts of different sizes and dimensions, you are still creating a layout that’s pleasing to the eye, but you get a lot more variety! We hope this makes adding accents to your scrapbook pages a little bit easier. Try the triangle rule out for yourself, and tell us what you think in the comments below! During National Scrapbooking Month, we’ve shared tips with you for mixing patterned papers and balancing the colors on your pages. Today we’re going to build on these tips, as well as share a few more—because you can never have too many ideas when it comes to scrapbooking! When you want to highlight a specific color, start with a neutral background, limit your chosen color so it really pops, and add a complementing color for contrast. Choose one pattern to be the hero. Choose one bold pattern, one or two medium patterns that support the bold pattern, and then choose papers with very subtle patterns or solid cardstock to round off your page. And don’t worry about being too matchy matchy—contrast is good! Let’s dive into some artwork examples so we can see this rule in action! Forget the 10/30/60 rule—this page is more like 100/100/100! It’s a wee bit noisy. 🙂 The individual elements are beautiful, but they’re just not working in harmony together like they could. The predominant color here is pink, but with such a dynamic background and pink elements all over the page, it doesn’t really take the spotlight. It’s definitely showing up in more than 10% of the page. Ah, can you feel that 10/30/60 balance? It’s scrapbook nirvana. 🙂 We’ve reduced our hero paper slightly so it’s closer to 10% of the page. Also, do you notice how placing it horizontally lends more balance to the page? To tie in the pink colors of our hero paper, we have a pink paper working nicely as a connector behind the photo, along with a few other hints of pink here and there, giving us roughly 30% of the page. The base polka-dot paper has enough white in it to give us the 60% neutral foundation that we are looking for. Keep the focus on your photos! 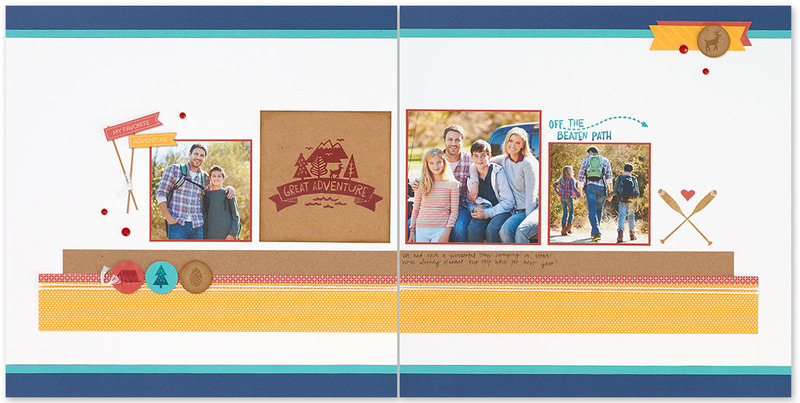 Don’t place journaling or stamping on your hero paper—they will get lost! We’ve loved sharing tips about how you can enhance your scrapbook pages on the blog this month—and we want to keep sharing ideas like this with you! Tell us in the comments below what scrapbooking tips you’d like to hear! Also, remember that our Scrap Happy contest is going on right now. 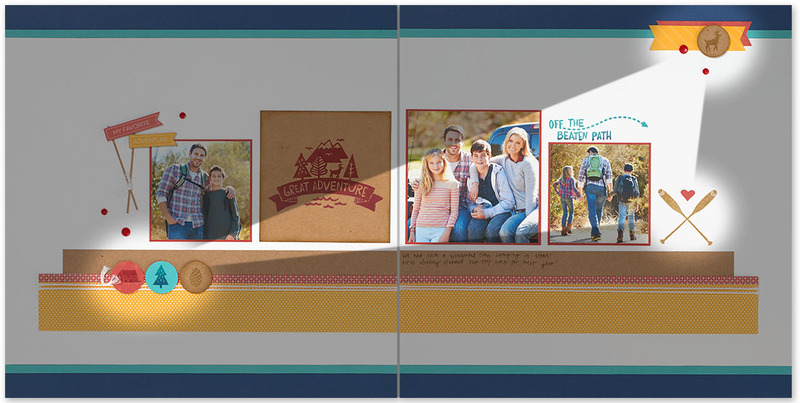 Create a scrapbook page using Close To My Heart products that explains why you love scrapbooking. We will randomly select three winners to get a ton of scrapbooking products for free. Learn more here! Now go balance those pages like the scrapbook master you are!